Since 1976, most residential concrete projects in Sangamon County have been handled by G & G Construction. We’re proud to be a part of this great community, and we love having the opportunity to improve so many homes in the area. Here’s a look at the fine services and products you can expect when you do business with G & G Construction. Driveways and garage floors: At G & G Construction, we know driveways aren’t just places to park. They’re makeshift basketball courts, elaborate hopscotch courses and prime firework viewing space. Your driveway is also one of the first parts of your home that visitors will see. Don’t you want yours to make a good impression? 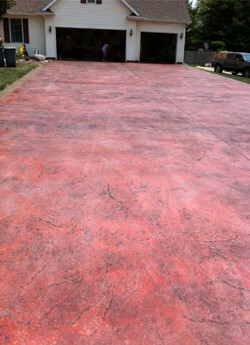 Our quality materials and meticulous work will ensure your driveway or garage floor will hold up for years to come. Patios and sidewalks: Whether it’s to entertain dozens of guests or just a nice spot for you to have some rest and relaxation with your family, your patio should be a place of comfort and style. Our team of licensed concrete contractors knows what people are looking for in a concrete patio, and they’re happy to deliver. The same goes with sidewalks: you’ll never hear “step on a crack and break your mother’s back” on our sidewalks! 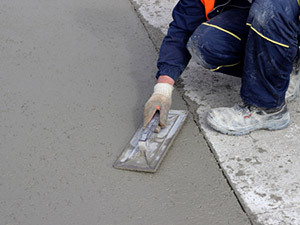 Quality products:In order to deliver a quality concrete job, your residential concrete contractors in Sangamon County must first start with quality raw materials. Here at G & G Concrete, we don’t believe in skimping on anything. We use only the finest materials, and we have a wide selection of different options for our customers to choose from.